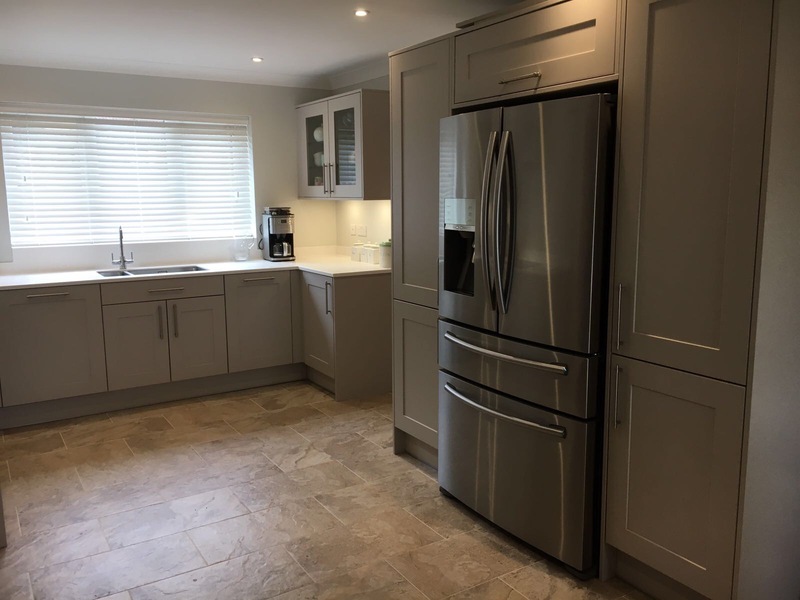 Our client Mr & Mrs Mead recently moved into their home after completing extensive refurbishment works throughout, with simply stunning results. The once former rental property has been transformed into what is now a beautiful, contemporary family home. 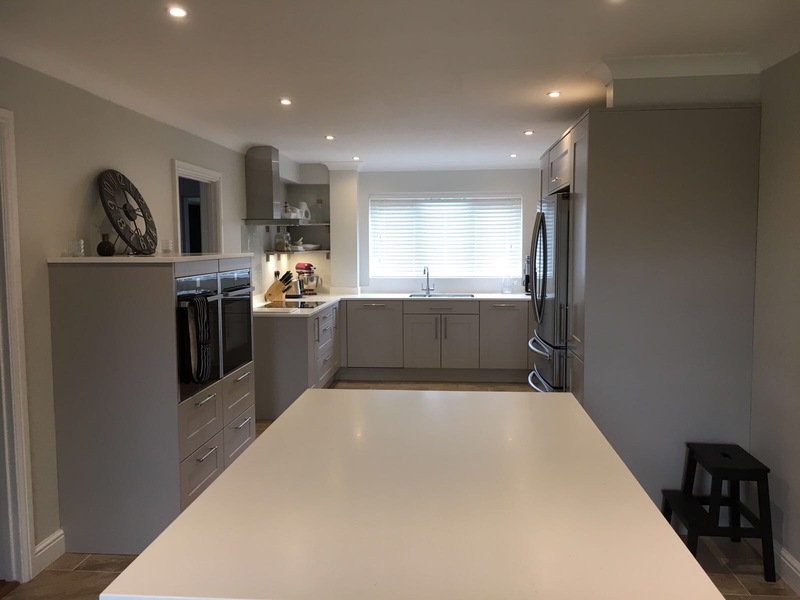 Mrs Mead loves to cook so naturally she wanted a kitchen with plenty of storage and workspace. 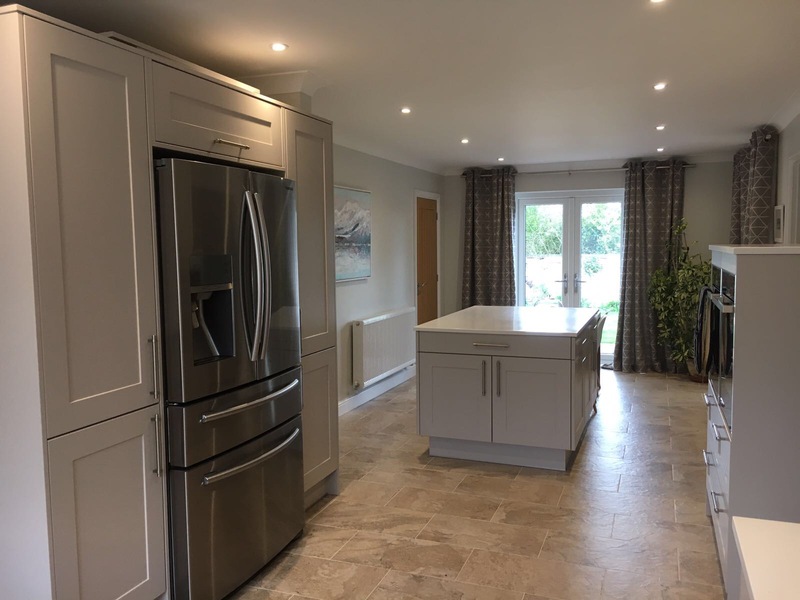 Our designer worked with our client to help create the perfect kitchen for both cooking and for informal family meals by converting what were formally two rooms into one large kitchen with doors out into the garden. 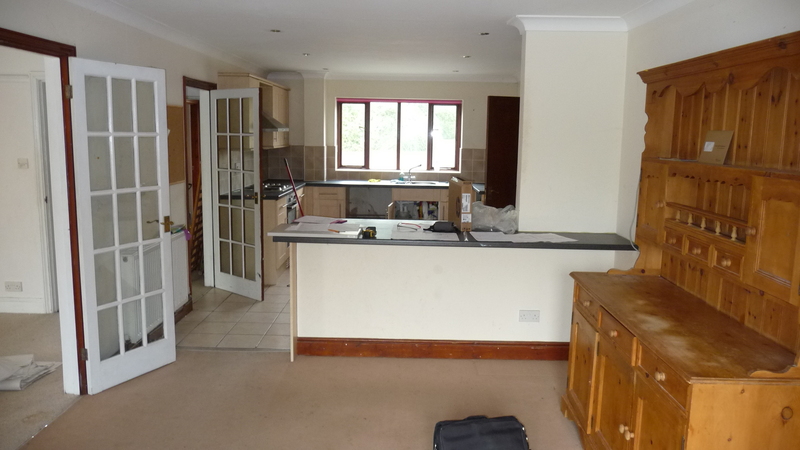 A separate utility room with a walk in larder cupboard is just off the kitchen with another door to outside. 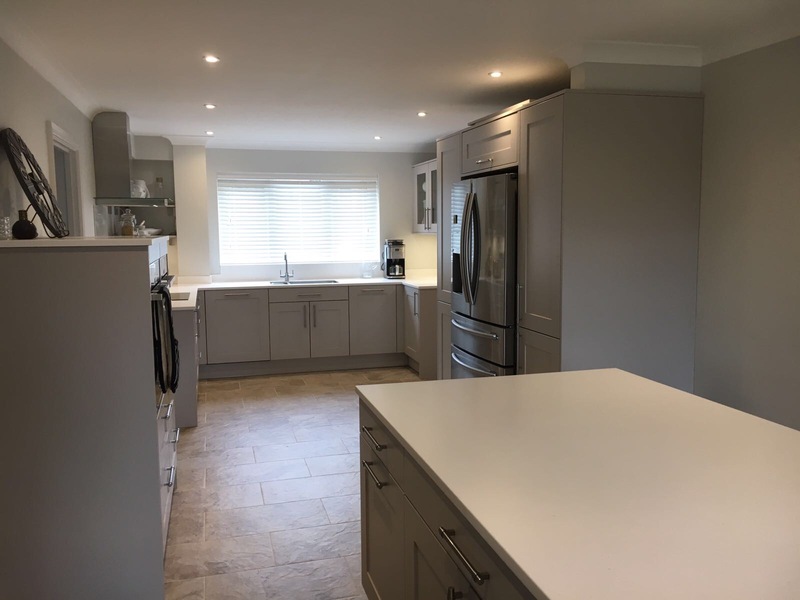 Our client chose the Callerton Balham flat painted shaker kitchen in cashmere with white jasmine Corian worktops to give the room a cosy, country feel. 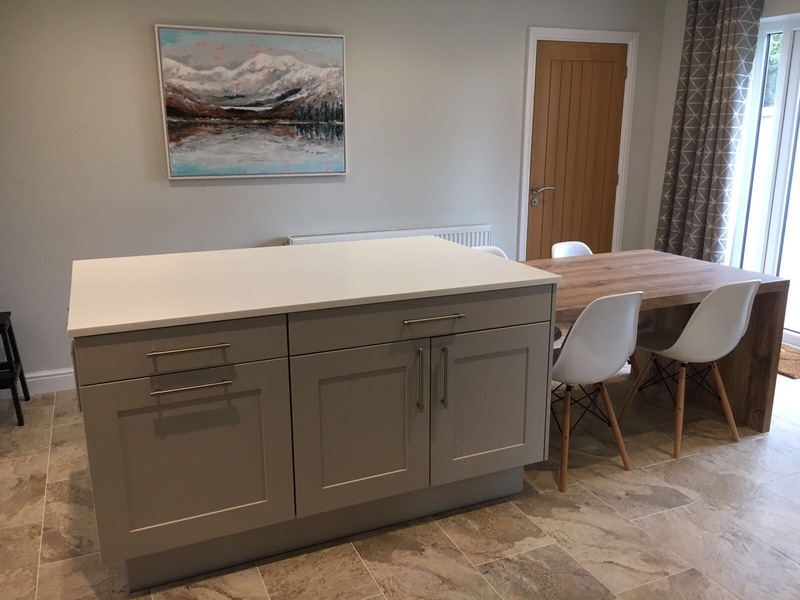 As well as a lovely big island in the centre of the room a bespoke table was incorporated at the far end by the garden to provide a seating area for the family.